Rachel Bilson is one of my favorite fashionistas! She has an eye for fashion and knows how to take a simple look to the next level! She always seems to be able to add that extra sparkle to her looks! Check out my Finds Under $40 to get Rachel's look! Loving this Mango Cardi--that's on sale! 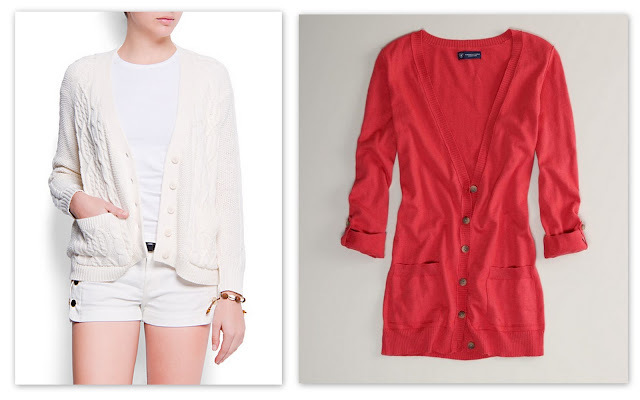 But you can change it up a bit and add some color with this great red cardi! 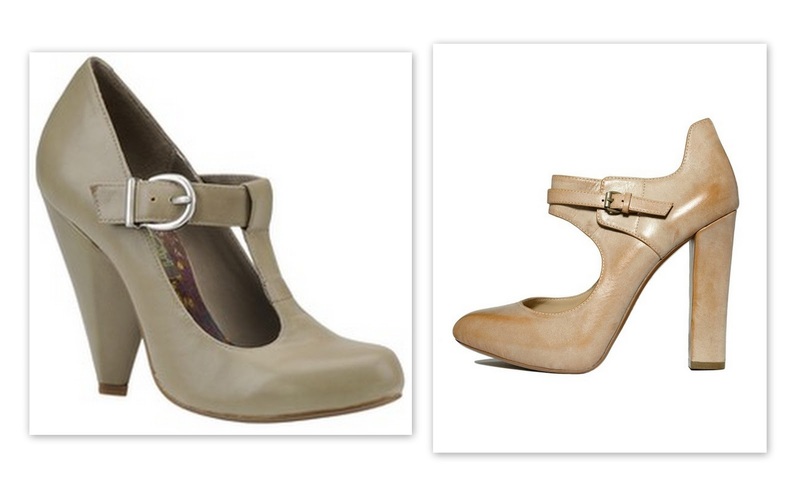 Rachel adds that extra kick to her look with her killer Mary Jane Pumps. I'm obsessed with the Max Studio Pumps--but they are a bit pricey. The Kensie Girl are just as cute and a steal! Add some color with some fun accessories like this necklace and bracelet from Spike the Punch! You can spice up the look with some fun leopard wedges, red Mary Jane's, or an amazing pair of Marc Jacobs sunnies! The shoes are sooo cute! I was just saying last night how much I loved Rachel Bilson.. haha, so funny. She is so stunning. AND... great finds! 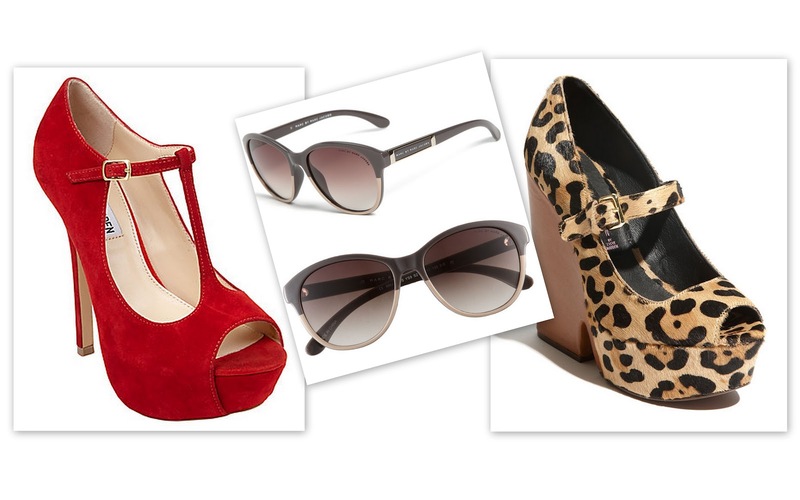 I love those sunglasses and red heels! Now that I think about it, her outfits are usually simple and quite chic! I live your finds especially the shoes! Love the neon purple bracelet! It's a new shade of color I recently fell in love with! love those mary jane heels..and the spike the punch bracelet is so pretty! She is so cute and I love her taste. really like it her style!! Love Rachel Bilson too, I also love all of the fun things you found to re-create this look! Great post dear! well done! She's got a great style ! Thanks so much to visit and comment in my blog. I don't know yours, and I like it, so I follow you via gfc and bgv right now ! Great pics!! Your looks is gorgeous, looks really good on you! Perfect combo, dear! well done! This is such a great post! I love your recreation and Rachel's shoes are gorgeous! I love how you incorporated the different pops of color especially the leopard print Mary Jane's. I actually just purchased a pair of Simply Vera by Vera Wang for $7.90 at Kohls. They are so adorable!! the shorts and the leopard print heels are just gorgeous!! Rachel Bilson is such a perfect fashion star! I love all her classic, chic looks. I SOOO want to get some leopard wedges! I love her look! Great finds too- that pink chain bracelet is totally cute! I haven't really seen many maryjanes that weren't black, but I'm really digging these ones that you posted! I love Rachel Nilsson style too! Everything she wears is fab! I am so glad you found all of these lower priced items! Those Kensie Mary Janes must be mine! Haha. Cute stuff, my dear! if you'd like, come see my blog. she look effortlessly cute! cool leopard heels! great picks! The black shorts are hot! This girl is always perfect!! Rachel is one of my favourites, she always looks incredible.